Whether you are camping for an extended period or dealing with a natural disaster, the need for clean and safe drinking water is essential to life. 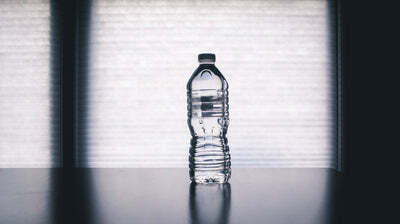 In fact, the common consensus is that the human body can only live for up to 5-7 days without water. Water makes up 60% of the human body and pretty much every cell in your body requires water to survive. This is why it is crucial to know how to build a water still. Here are the main steps to this important lifesaving device. A water still is basically a way to purify water to make it safe to drink. If you drink water from a natural source such as a lake, river, or rainwater, or even water from your pipes after a major disaster such as hurricanes, chances are it will make you sick or even kill you because of the bacteria. A water still is simply a rigged device you use to purify the water and there are several ways to make one. When looking at how to build a water still, it is important to look for the easiest method using what is available to you. This method uses simple things most people probably have on hand or can easily find at their local hardware store. Make sure you have all the supplies listed because the process needs to be done all at once to ensure proper water distillery. Make sure you have a lot of ice on hand as well. The ice is crucial because the process distilling water involves boiling the water into steam which is then quickly cooled down into purified water droplets. Make the cooling tank. A water still requires a cool environment where steam can re-condense into pure water droplets. The heated water will flow through waterproof, heat-proof copper tubing which will be coiled inside the cooling tank. This allows for the steam to cool into purified water in the tubes. The tank itself is rather simple. Simply use the two-gallon bucket as the tank by feeding the copper tubing through holes at the top and bottom of the bucket. The holes should be 3/4 an inch in size to create enough space for the tubes yet tight enough for the needs of distilling water safely and effectively. If there is too much space between the opening and the tube, you can close it with the sealant. Feed the copper coil tubing through the holes to the collect steam at the top and release the water droplets at the bottom. The way a water still works is by collecting the water from the teapot by sending it through the tank to allow water to condense before finally moving it to the storage container such as a water bottle. This is where the ice comes in. Once you have placed the coil tubing in the bucket, you will place the ice in the bucket around the tubing. This will create the cooling effect needing for the distilling process. Once you have set up the bucket and copper coil, you will connect the 3 feet of silicone tubing to the teapot spout opening. Make sure it is heatproof silicone! The other end of the tubing should be attached to the copper coil. Make sure you have a tight fit between the two tubes. Boil the water in the teapot on the stove top. The steam will be collected through the silicone tubing which will then travel through copper coil and iced stage to further purify it. From there the water droplets will be transferred to the bottom end of the copper coil and travel into the clean water collecting jug placed under the bucket. When looking at how to build a water still should you become stranded in the wilderness, there are a few things to remember. The best option is to carry a purifier tool on you since they are small and can filter out a high percentage of harmful microorganisms. However, there is an alternative using a few easy to carry items you may already have on hand. Dig a large hole in the ground of at least 2 feet deep and 3 feet in diameter. You want to dig down to where the soil is damp. Place the cup or small container in the center of the hole as far down in the bottom as possible. Place one end of plastic tubing in the cup or container. Cover the entire hole with the plastic sheet while using dirt from the hole to weigh down the plastic edges in the diameter. Ensure the tube is still accessible. Use a small rock or other item to weight down the center of the plastic over the cup or open container to create a cone over the opening which funnels into the cup or container. The way it works is that as the sun heats up the soil, the moisture will condense on the plastic and will then drip down into the cup or container. The water will evaporate and condense leaving behind the impurities in the soil itself. Use the tubing as a large straw so you don’t have to disassemble the still until you are ready to move on from that site.